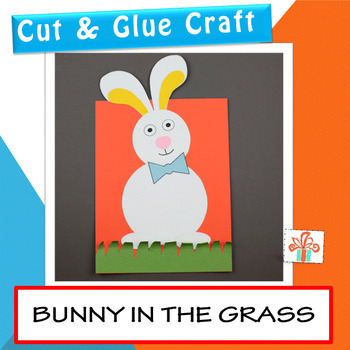 This bunny in the grass craft makes a great Easter activity or spring craft for kids. 1. 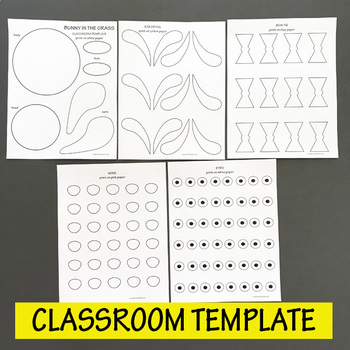 Classroom template (see photo) - print on colored paper and cut out. 2. 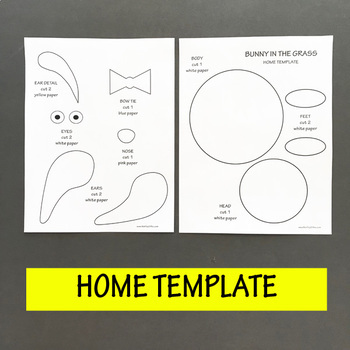 Home template (see photo) - cut out and trace on construction paper. -Go to your My Purchases page and locate the Provide Feedback button next to each purchase in your list. Just click on it to give a quick rating and leave a short comment. 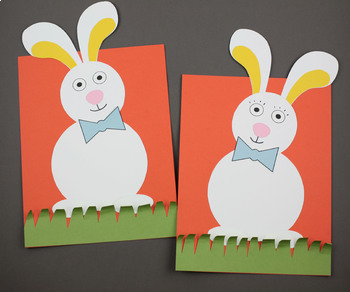 Each time you provide feedback, TPT gives you feedback credits that you can use on future purchases. - Please look for the green star next to my store logo and click on it to become a follower. You will now receive email updates about the store.